Summary: A brief moment of disappointment washed over me as I approached Jace’s lifeless body. Here I was, about to kiss a boy on the lips for the very first time, and he was completely comatose—possibly paralyzed—and would never even know or remember the experience. This was not how I’d envisioned my first kiss—me invisible, him unconscious. 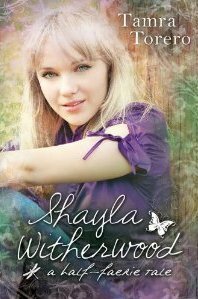 Cathy’s Review: Shayla Witherwood is just a normal high school girl…okay not really! She’s a half-faerie, she’s been home-schooled for her whole school career by grandparents that she traveled the country with in an RV named Brutus. But now her grandfather has died, so her grandmother decides that it’s time to settle down in a small town and it’s time for Shayla to go to school in the public high school. This doesn’t sound like a wonderful plan to Shayla, and her first day finds her wanting to use her faerie powers to turn herself invisible so that none of the other kids see her, but Grandma has firmly told her that using her powers around others is against the rules. But will Shayla be able to keep her new friends from realizing that she’s a half-faerie? I was excited to read this book, because I really loved her Molly Mormon? series a few years ago. This was a fun story to read, and the characters were fun. Shayla gets herself into some pretty crazy situations when she uses her faerie powers to do things like turning invisible or changing her ears. I liked the ending and how Shayla figured out a bunch of stuff about herself and also her parents and extended family that she had never known. About the Author: Tamra Torero fills her life with all things sweet— from her nine children and two grandsons, to her husband, Paco. By day she creates sweet things to eat as a bakery manager, and by night she creates sweet stories (which all-too often require “brain food,” a.k.a. Hershey’s Special Dark Chocolate). She enjoys reading in the bathtub, watching movies in bed, and dancing in the kitchen. 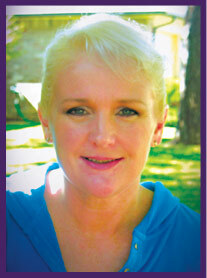 She is the author of seven novels for children and teens.